Birds and windows don’t mix! Find out how you can help researchers reduce bird-window collisions. It has been estimated that up to 1 billion birds are killed in North America each year as a result of bird- window collisions. Windows are one of the largest threats facing urban bird populations. But you can now take part in a major project helping to reduce this threat. 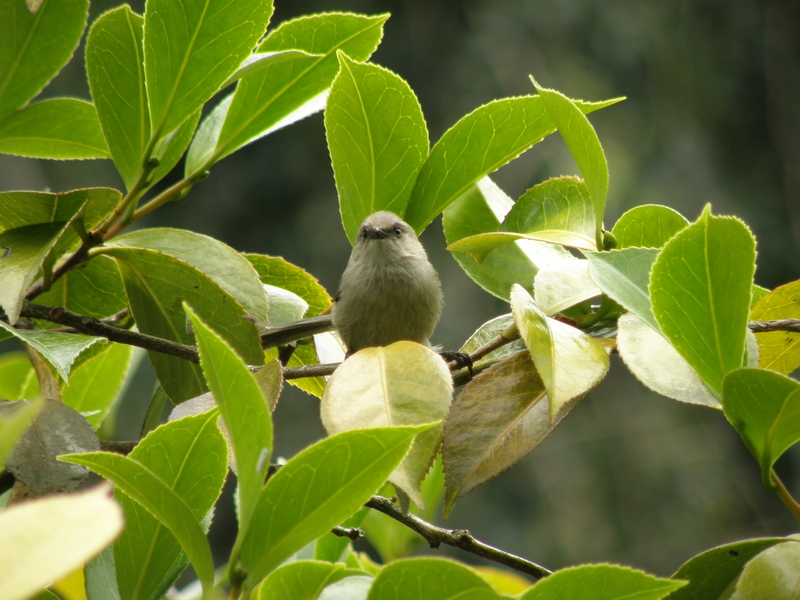 Bushtit. Photo by Robyn Worcester. ‘Birds and Windows’ run by the University of Alberta is collecting data on window collisions from across Canada to understand what can be done to reduce collisions. This is your chance to help out with a major research project that will help Canada’s birdlife. The team is asking you to recall bird window collisions you have observed in the past, and would like you to regularly search around your residence for evidence of bird window collisions in the future. Song sparrow. Photo by Robyn Worcester. 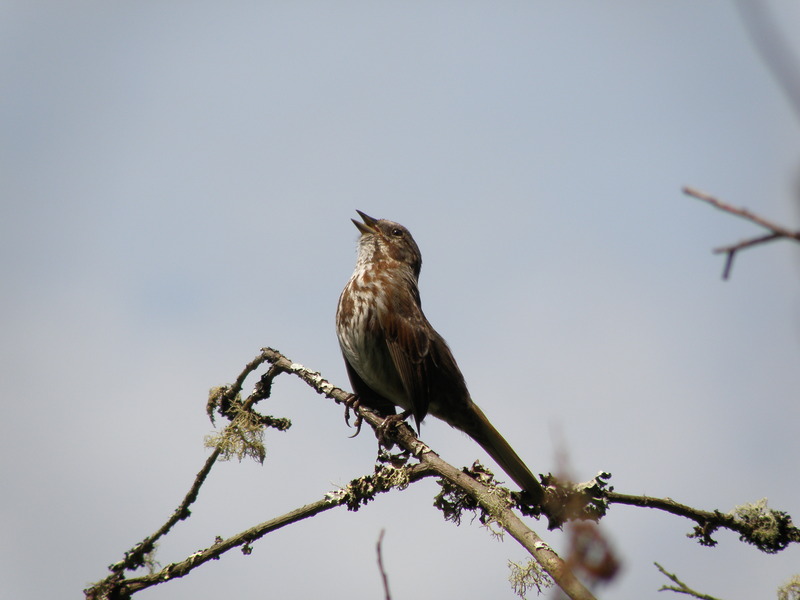 Vancouver is a major site for bird migration and so Stanley Park Ecology Society is asking for your help in gathering the data for the study from this region. Results from the study will also help SPES assist the City of Vancouver in creating a bird friendly city. For those interested in the future of Vancouver’s birds, don’t forget Vancouver’s very own 2nd annual Vancouver Bird Week taking place May 3 to 10. This exciting week will be packed with events that give you the chance to find out more about birdlife in Vancouver. Placing feeders more than 10 meters from a window. At this distance birds are more likely to recognize the reflected image as part of a house and are less likely to fly toward it for safety. Uniformly cover the window surface with decals and hanging strings of objects. Objects should uniformly cover the surface and be separated by 10 cm (4 in) or less in vertical columns or 5 cm (2 in) or less in horizontal rows. Keep interior blinds and shutters closed. This helps minimize reflections and angled appropriately, these can still provide plenty of light and a modified view. Move houseplants away from windows. Birds will not consider plants and flowers to be shelter or food when they are placed where they cannot be seen from outside. Angle windows 20-40° downwards. Angled windows reflect the ground rather than the sky or vegetation and substantially reduce window strikes. Cover windows with netting. Fine mesh netting stretched tightly over an entire window causes birds to “bounce” away before crashing into window glass. Use one-way films that consist of chosen patterns and colour shades. These films provide a minimally obstructed view from inside while rendering a window opaque or translucent when viewed from the outside. Use UV window decals or glass with a UV pattern built in. Recent research indicates that birds are alerted to the presence of glass when they detect a UV pattern applied to a window.